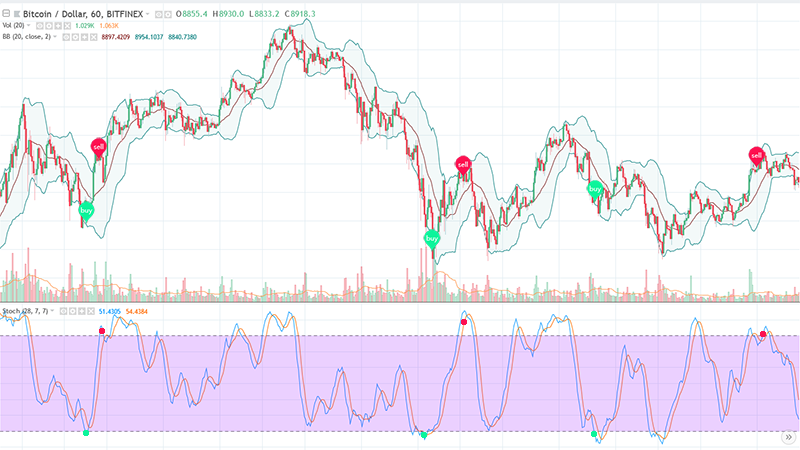 Bollinger Bands indicate relative high and low prices, using this information you can buy relatively low and sell relatively high. With this strategy you can configure at which percentage from the lower Bollinger Band Gunbot should buy, and at which percentage from the upper Bollinger Band a sell order should be placed. Orders are placed as soon as price meets the set distance from the Bollinger Bands.